The Limerick professional started the day five shots back behind leader Matt Cort (Beedles Lake Golf Club) and needed to string some birdies together in order to climb the board and apply some pressure on those ahead. Going out in 34, the seasoned pro was in a decent position but was still four shots behind Cort who still led the way at the turn. However, a blemish-free back nine with four birdies including a superb 12 feet putt from the fringe on the last put Rice in the clubhouse with an overall score of eleven-under-par. Cort’s back nine was a completely different story, three bogeys over his final four holes pulled the 2016 Order of Merit Winner back to eight-under-par and tied for fourth. The 13th event of the season proved to be one for the underdogs, with four of the top five all starting outside the top 60 list in the Race To Desert Springs, only Chris Gane (Lefthanded Golf at Silvermere) could really capitalise on that with a third place finish. Dave Coupland also collected a top ten finish to extend the gap at the top of the leaderboard with just two regular events left in the season. 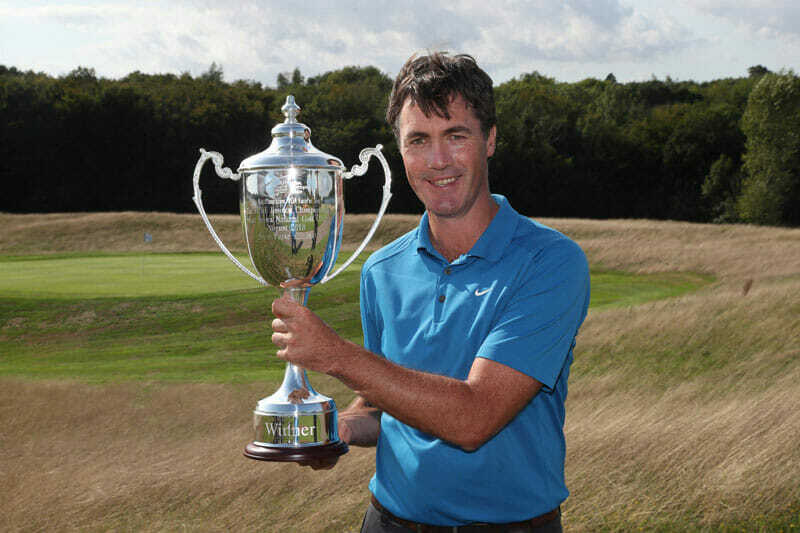 Highlights of the “FORE” Business Championship will air on Sky Sports Golf on Tuesday, 28thAugust. The PGA EuroPro Tour continues on Wednesday, 29thAugust with The Prem Group Irish Masters at Tulfarris Hotel and Golf, Wicklow.